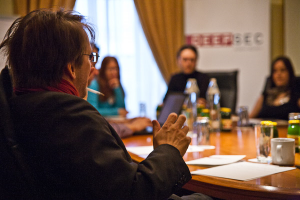 We’ve got some news from yesterday’s press conference with Ivan Ristić (Qualys), Sharon Conheady (First Defence Information Security Ltd.) and Harald Welte (hmw-consulting) followed by a seven interviews with speakers was a great success. 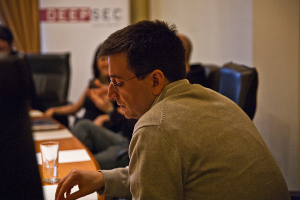 The spirit of DeepSec – bringing people (security experts and journalists in this case) together to talk to each other – was felt every second. This entry was posted on November 27, 2010 at 01:08. You can follow any responses to this entry through the RSS 2.0 feed. Both comments and pings are currently closed.